Tay Ninh (VNA) – The Cao Dai Church (Caodaism) held a grand ritual on February 15 dedicated to its Duc Chi Ton (Supreme Being) in Hoa Thanh district of the southern province of Tay Ninh. The service was attended by tens of thousands of Cao Dai dignitaries and followers as well as representatives from the Government’s Committee for Religious Affairs and local leaders. The ritual, held annually on the eighth day of the first lunar month, is one of the two biggest religious services of the year for followers of the Cao Dai Church . Devotees worship heaven and earth and pray for good weather and bumper crops for the religious community. 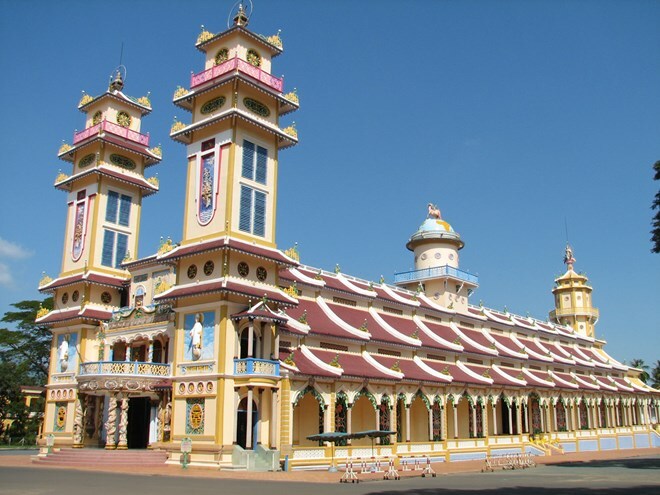 Founded in 1926 in Tay Ninh province, Cao Dai is one of the major religions in Vietnam with over 2.5 million followers, 10,000 dignitaries and 1,000 places of worship.